And You Call Yourself What? 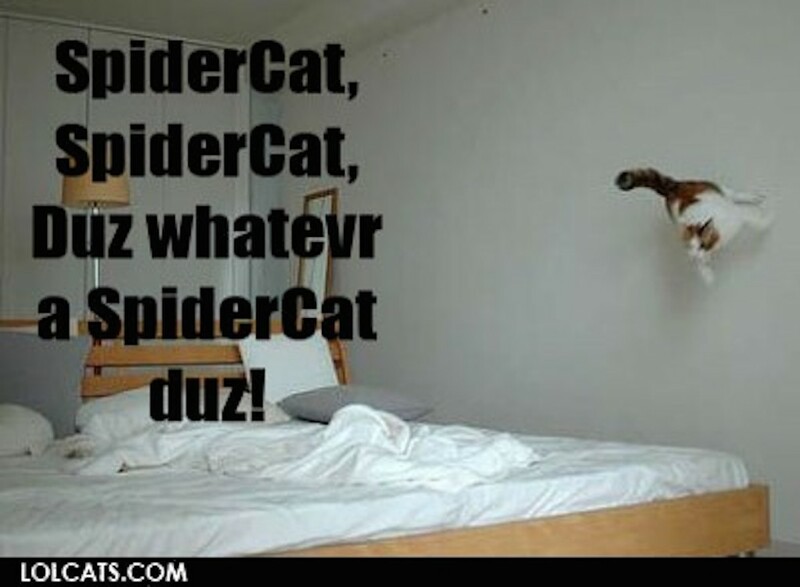 I think SpiderCat just disproved gravity...but that isn't the point. Why don't pets (humans) clean our dreaded food bowl? There it is again. Avoid it! My dignity begs me. Avoid it! My nose screams horribly. Never mind it... My stomach mumbles with a growl. Our topic of the day: How to choose the right pet (human). 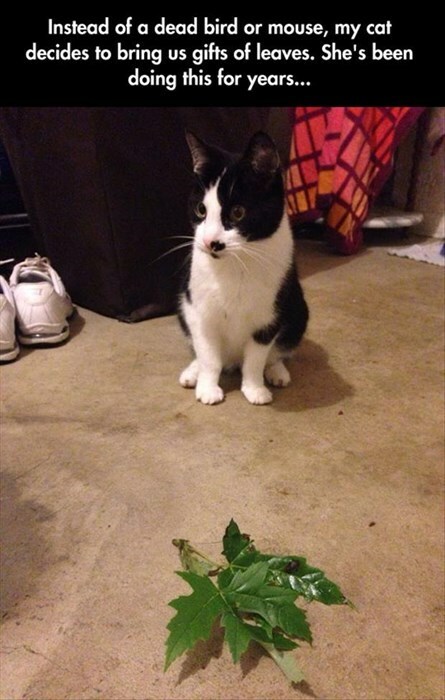 They taunt us old cats with their constantly beating wings. They take revenge on me now that I'm old--even though all I did was watch them when I was young.